I’ve been catching up on the Canadian medical drama Saving Hope, which features three hunks, very different in projected persona and body type, but all three given to shirtlessness: Michael Shanks, playing chief of surgery Charlie Harris; Daniel Gillies, playing orthopedic surgeon Joel Goran; and Kristopher Turner, playing psychiatry resident Gavin Murphy. Saving Hope is a Canadian television supernatural medical drama, set in the fictional Hope Zion Hospital in Toronto. The show’s central character is Dr. Alex Reid (Erica Durance), a doctor whose fiancé, Dr. Charles Harris (Michael Shanks), is in a coma after being in a car accident. The show follows the life of Charlie in his coma state [during which he roams the hospital halls in a tuxedo, consulting with the spirits of the dead and other people in coma], and [follows] Alex dealing with patients, and hoping that he will survive. Dr. Reid is the Chief Surgical Resident while Dr. Harris was the Chief of Surgery until his accident. Dr. Harris recovers at the end of season 1, but [continues to be] able to see the spirits of comatose and dead patients through subsequent seasons. 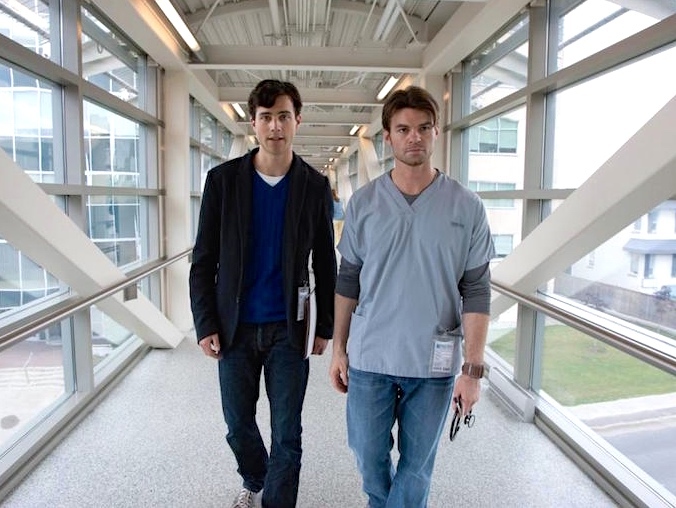 … The show also stars Dr. Joel Goran (Daniel Gillies), a new orthopedic surgeon and Alex’s former lover. The three hunks in brief. Shanks is the oldest, ten years older than Turner, with Gillies almost exactly in the middle in age. All three actors have significant fan followings, Shanks and Gillies especially so, thanks to other work they’ve done. To which I now turn. Michael Garrett Shanks (born December 15, 1970) is a Canadian actor, writer and director best known for his role as Dr. Daniel Jackson in the long-running Canadian-American military science fiction television series Stargate SG-1. More recently, Shanks has been playing Dr. Charles Harris on the Canadian medical drama, Saving Hope. 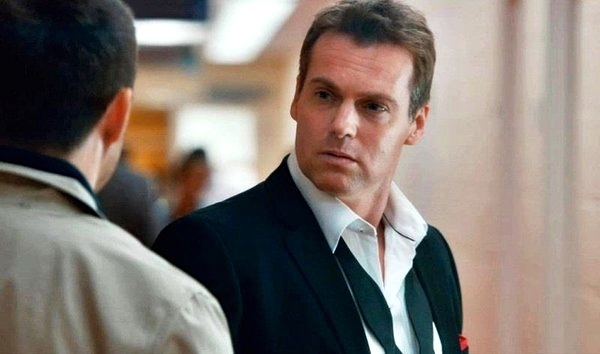 My “Scruffilicious” posting of 4/3/13 has a section on Shanks as Dr. Daniel Jackson — a role he became so identified with that many fans referred to him by this character’s name. And yes, there are plenty of shirtless photos around of Shanks in his Stargate days. 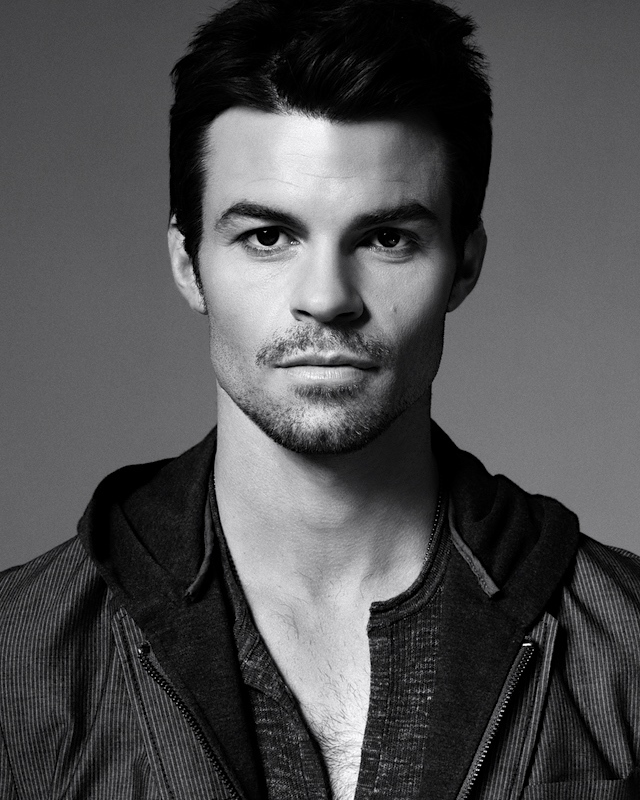 Daniel J. Gillies (born 14 March 1976) is a Canadian-born New Zealand actor. He is best known for his role as Elijah Mikaelson on the television series The Vampire Diaries and its spin-off The Originals, as well as Dr. Joel Goran on the Canadian series Saving Hope. Kristopher Turner (born September 27, 1980) is a Canadian actor. He is noted for his role as Jamie Andrews on the CTV teen drama Instant Star. 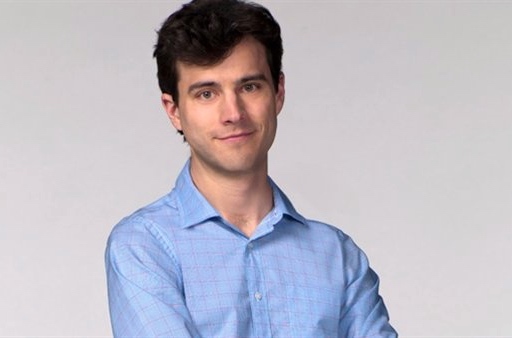 And now, at age 35, for his role as psychiatry resident Dr. Gavin Murphy on Saving Hope — an enthusiastic and empathetic young doctor with a really sweet smile. This entry was posted on December 5, 2015 at 4:32 am and is filed under Language and the body, Movies and tv, Shirtlessness. You can follow any responses to this entry through the RSS 2.0 feed. You can leave a response, or trackback from your own site.